Who is the Most Handsome British Actor 2016? 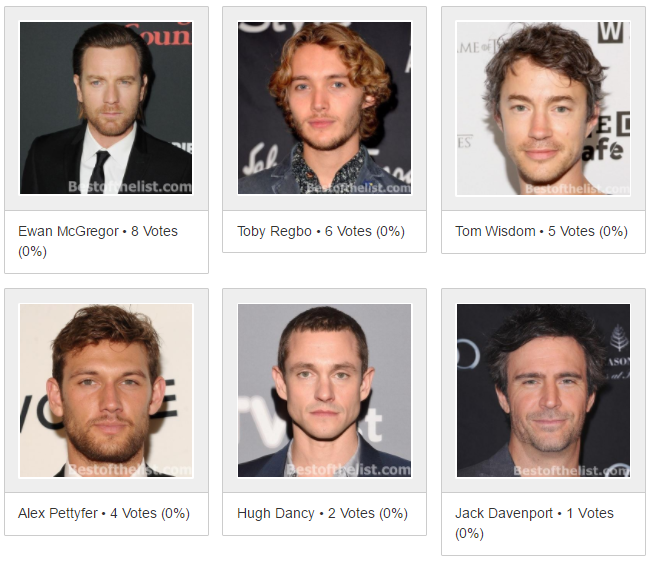 We choose the most Handsome British Actors 2016 according to your votes. Choose your favourite one and vote for him! Please add Santiago Cabrera & Howard Charles to the list. Jack Davenport is added. Page #3. Luke Pasqualino is already in the list. Page #2. Why can I not vote for Theo James a friend of mine did. Why cant I I like this actor. All of them are wonderful (and a i voted), but… I miss Gareth David-Lloyd here too. He´s gorgeous! And British (from Wales). Why did you choose the worst photo of Colin Firth, taken by the time he had lost all weight for a role? He has so many great photos. Why did you choose the worst photo of Colin Firth, taken by the time he had lost all weight for a role? He has so many great photos. Did you do that on purpose?